This is a less ranty than my first “road to MVP” post. I’m finishing this post at the end of december. And while I know there’s already a 3rd part as well, I found it important to continue with my original plan for these posts. Which is, to document my journey towards becoming an MVP, no matter how long it would be or even if it would ever happen. I do hope you as a reader have use for these posts, either way, don’t hesitate to contact me through the comments or on twitter or even linkedin if you have any questions. About a year ago, I made a post about my experience and feelings about getting nominated for the MVP award by quite a few people I look up to. I ended that post stating that while it had been 1-whole-full-year-omg-so-long of being nominated but not awarded, the fact that I had gotten nominated by people I look up to and the feedback I received from people in the community meant a lot to me. Maybe even more so than an award. Almost a full year has passed since that post. I didn’t pay much attention to my MVP nominations anymore and when people asked if they could nominate me, I’ve been declining their offers. I’ve been declining nominations because this year, for me, was about getting even more involved with the community and just having some relaxed fun. Due to all my new activities, this blog didn’t receive much new content, although I have quite a few new drafts ready! In 2018, I kept speaking at conferences and user groups, kept meeting people and most importantly, kept having fun. I’ve met so many great people and learned a ton from them in the past year. Only issue I had, is that working full time as a consultant AND speaking this much tends to become a bit much. So I stopped all speaking engagements in october, with SQL Saturday Holland being the last event I spoke at. I started a Power BI User Group because we don’t have that yet in Belgium. 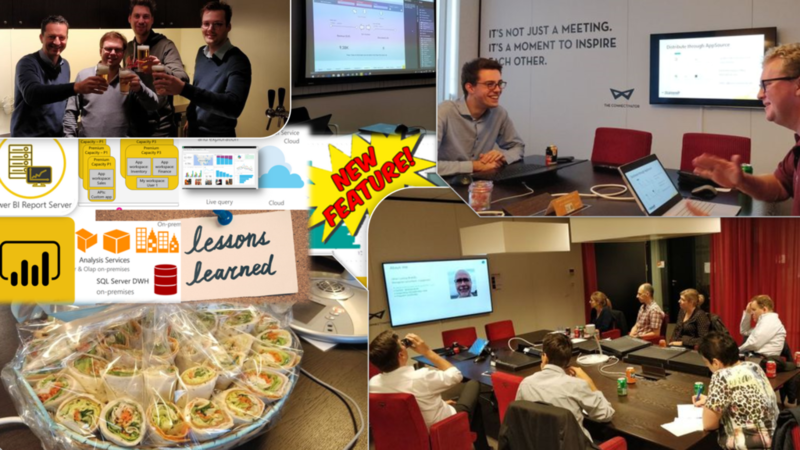 We had 10 awesome meetups and I got to know a lot of great people who work with Power BI in Belgium. 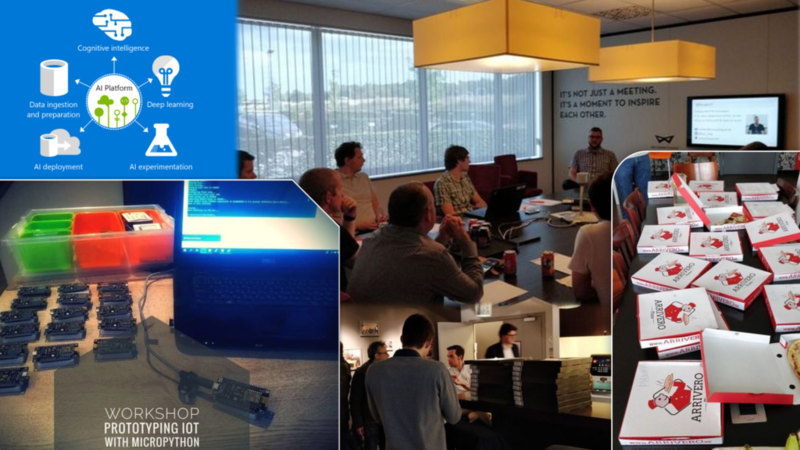 Come join us next time if you’re working or even thinking about working with Power BI! Our audiences tend to be a mix of everything in between deeply technical and pure business users. That tends to mean everyone wins as we can learn from each other! As we did our Power BI meetups, I got feedback from people. People who couldn’t make it during the week but also from people outside of Belgium who wanted to attend some meetups. So I started a free conference in september, and people seemed to enjoy it. One day in Belgium and one day completely virtual. We had quite a few people for a saturday, but what surprised me was that the virtual event on Sunday had a ton of people as well! Simply amazing to see how speakers and attendees invest in their future by attending events like this in the weekend. For the rest of the year, I haven’t planned much. A couple of user group meetups, catch up on work and just spend some time with my girlfriend. It’s been a very busy year, i’ve met ton of new people, I did way too much and by september I was already telling people that I’d be scaling back on speaking at conferences due to my personal life getting much busier in 2019. Either way, It’s been worth every minute of my time and I’ve had a blast doing all of this. I can only say that you should try to speak at as many conferences and user groups as well. If you’d like some help in any form, let me know. From coming up with an idea together, to practicing your session together, I’m here for you. Others are here for you as well, check out www.speakingmentors.com.